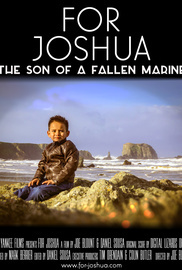 Joshua Ruiz - The son of a fallen Marine. This film follows Marine Corps veterans after their deployment, dealing with life as a civilian as well as the family of Sgt Cesar B Ruiz. Shot during a month long road trip from Oregon to NYC, two Marines who served with Sgt Ruiz interview Marines who served with him.